Ever wonder if you’ll be able to find an excellent auto mechanic in the Denver Tech Center for your Hummer? Wonder no more! Antero Automotive & Truck Services is here to take care of all your auto repair needs. We have a deep understanding and respect for Hummers. We see all kinds of Hummers here, so we’re familiar with their inner workings. Although we don’t see as many Hummers here at Antero Automotive & Truck Services as we once did, they’re still not an exotic species to us in the Denver Tech Center area. Because of their intimidating size, not every auto repair shop is well equipped to handle the Hummer. However, we’re here to let you know that you can bring yours in and we’ll be more than happy to service your Hummer. At Antero Automotive & Truck Services we want you to have a stress-free experience. That’s why we have a shuttle service that runs in the morning, an Uber in the afternoon, and five loaner cars. We have a nationwide Napa 3-year/36,000-mile warranty. In addition, we’re AAA approved, we’re an ASE Blue Seal Shop, and Repair Pals certified. We do digital inspections with pictures of what is happening with your Hummer and will prioritize the repairs. You will get a custom plan just for you and your Hummer. Always accommodating and take exceptional care of our company vehicles. I wish I had them performing all our automotive needs in other states where we operate. Excellent service by all. Hats off to Andy, Dave and Tom! 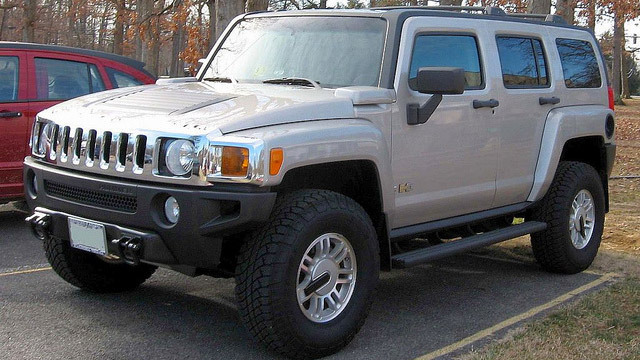 -- Christopher B.
We’d love to take a look at your Hummer and give you the service that you deserve. Give us a call right now. As the go-to choice for Hummer drivers in the Denver Tech Center area, we’re committed to honesty and transparency. Schedule an appointment or stop by. Antero Automotive & Truck Services is located at 6615 S. Dayton Street, Greenwood Village, CO, 80111.